In a study published last year comparing out-of-hospital cardiac events and defibrillator locations, Canadian researchers found something interesting: although schools were relatively low-risk locations for cases of cardiac arrest, nearly 75% of schools had AEDs. Conversely, while one could expect to see one cardiac arrest event per year at casinos and racetracks, there were not nearly as many of the life-saving devices at hand. AEDs are small, portable units that can diagnose and treat cardiac arrhythmias. Arrthymias occur when the heart is still active, but dysfunctioning in a pattern that prevents proper circulation of blood. Arrythmias can quickly grow to involve entire chambers of the heart, resulting in fibrillations, or disordered, chaotic electrical activity. Although not all arrhythmias are life-threatening, some can result in cardiac arrest, or the complete cessation of heart pump function. After chest pad placement, the AED analyses the electrical output of the heart for a few seconds to determine whether a shock is needed. The purpose of the shock is to essentially “stun” the heart, disrupting the chaos and allowing it to return to a normal rhythm. According to the American Red Cross, the chance of survival is reduced approximately 10% for each minute that defibrillation is delayed. And with the average response time for first responders being roughly ten minutes after a 911 call, defibrillation can be a lifesaver. Every year, roughly one in 1,000 Americans will go into cardiac arrest, and only 8% who suffer away from the hospital will survive. Acute stress affects a LOT of organs. Although sudden in the moment, cardiac arrest is not as random as it seems. In fact, the risk factors for the condition are brewing in many individuals for decades: a sedentary lifestyle, combined with obesity, diabetes, or smoking. The vast majority of deaths due to sudden cardiac arrest are actually a result of underlying coronary heart disease. High cholesterol, blood triglycerides, and older age are ticking time bombs for coronary heart disease, which currently contributes to one in four deaths in America. While people with heart disease may live out their lives and be relatively unaffected on a day-to-day basis, there’s one thing that can completely upset the already delicate balance of the body: stress. Like in gambling. The funny thing about stress is that it can be good (winning $5,000) or bad (losing $5,000) and still exert the exact same effect on the body. When we become overwhelmed, a region of the brain involved in emotional processing, the amygdala, sends an SOS to another brain region called the hypothalamus. 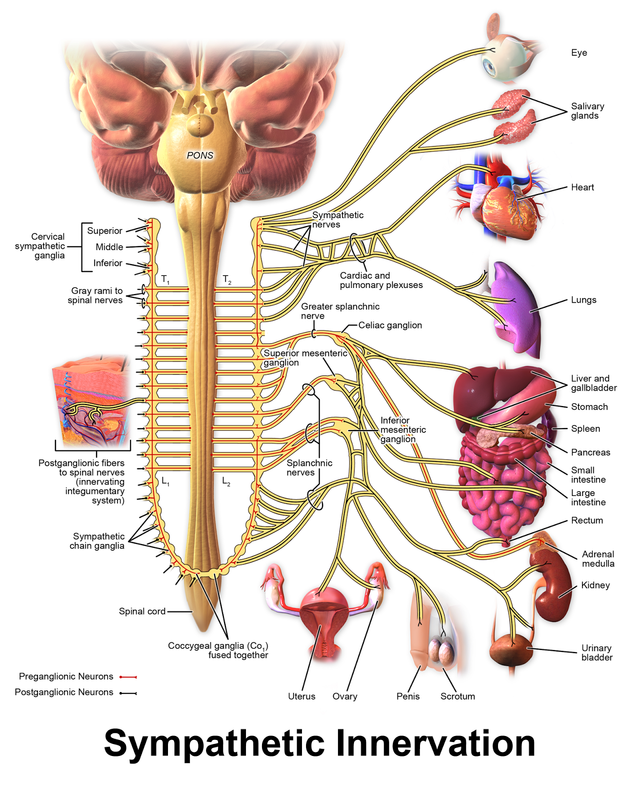 The hypothalamus can be thought of as the “command center” of the stress system. When faced with a stressful situation, an axis called the sympathetic (“fight or flight”) nervous system is activated. This is caused by a signal sent from the hypothalamus to the adrenal glands, which secretes the stress hormone adrenaline. During this time, adrenaline concentrations may be up to 50 times the typical amount in the bloodstream. It’s thanks to adrenaline that we experience increased heart rate, sharper vision, and rapid breathing when faced with a stressful situation. Adrenaline is great for outrunning a predator or jumping out of a speeding car’s way. But the hormone can do nasty things to someone who already has a damaged heart after decades of an unhealthy lifestyle. The increased heart rate and blood pressure accompanying the stress response are not friendly toward cholesterol plaques built up along the arterial wall. This can result in decreased oxygen to the heart (when the heart needs it most, no less) or formation of blood clots, which can lead to heart attack or stroke. A decade ago, Columbia University researchers analysed stored data in 200 patients with implantable cardioverter-defibrillators. In the month that followed the 9/11 attacks on the World Trade Center in New York City, there was a 2.3-fold increase in risk for ventricular arrhythmias. 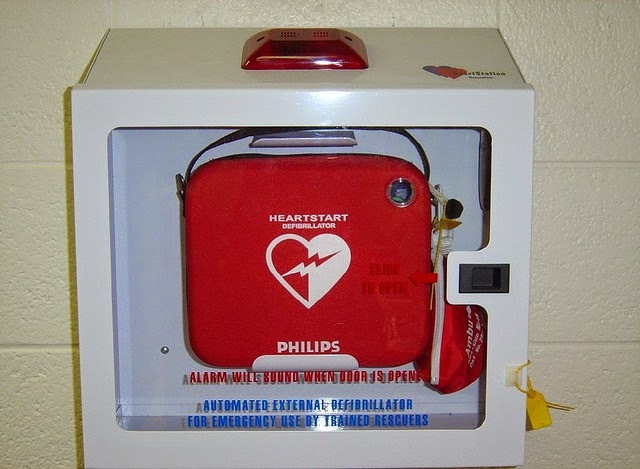 The next time you’re in a public space, glance around and see if you can find an AED — they’re typically in white boxes mounted to the wall and include the symbol of a red heart emblazoned with a white lightning bolt. If you see someone in need, you needn’t have medical background to use an AED; instructions are given through words, images, and spoken voice. And in the meantime, whether you’re a cardshark or prefer the slots, make sure you’ve got a healthy heart before you sit down to play. 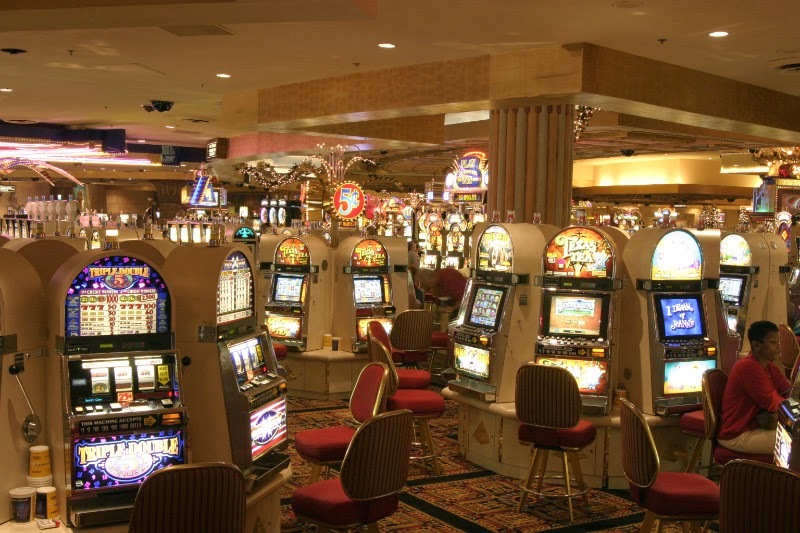 After all, if you manage to hit it big in roulette, you’ll want to enjoy those winnings for years to come.